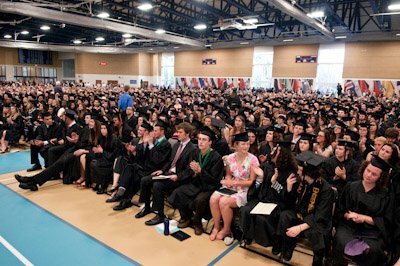 Macalester College graduation 2011. Photo by Sher Stoneman. As of Saturday, I am officially a college graduate. This is an extremely exciting time for me and one in which I am asked at least once a day, “What’s next?” I give people my elevator pitch on Summer of Solutions — “I’m a program leader for the Summer of Solutions, a summer program for youth ages 14-30 who want to build the green economy right here in the Twin Cities” — which prompts a, “Cool! What about after that?” I reply, “I’m going to make Summer of Solutions be my job.” Depending on the person, the response is a more or less enthusiastic, “Cool!” As I have repeated this interaction, I have become more and more confident that I mean what I’m saying. I have spent the last few years getting increasingly frustrated with the amount of time school has taken up for me. I loved my classes and I don’t regret pursuing a degree in Linguistics despite my complete lack of plans to be a linguist. However, particularly this past year, I have realized that my real life is not in the classroom but rather in the Summer of Solutions program and the energy efficiency cooperative I work on in the Twin Cities. Spending twenty five or more hours per week on school, no matter how interesting, seriously cut into my “real life.” Since graduating four days ago, I have been able to knock off a task list that would have taken two weeks during the school year AND went to a movie. But it’s not just the free time. It’s the freedom that comes with knowing that what I do next isn’t prescribed. This is cheesy, but my future is up to me. I am leaving college (with the privileges I had upon entering increased by my degree) with a commitment to make the green economy real for myself. I strongly believe that the work I do can’t be successful if it is peripheral — I need to be able to sustain myself through this work, not only for myself, but to prove with my own life that we can create our own green jobs. This summer will be my fourth Summer of Solutions in the Twin Cities. After this summer, I don’t have any plans or obligations. I can commit fully to continuing the projects we work on during the program. I am so excited to really use this summer as a launching pad for the rest of my (real) life. You go girl! Congratulations on graduating and having a goal both!